For Frank B. Stewart Jr., a white New Orleans native, the city government’s plan to remove the statues — an idea championed by New Orleans’s white mayor, Mitch Landrieu — feels like an Orwellian attempt to erase history. This week, Mr. Stewart, 81, a businessman and civic leader, argued as much in a letter he published as a two-page advertisement in The Advocate, a local newspaper. Have you heard of Josiah Walls or Hiram Rhodes Revels? How about Joseph Hayne Rainey? If not, you’re not alone. I taught history and I never knew half of our nation’s past until I began to re-educate myself by learning from original source materials, rather than modern textbooks written by progressive Democrats with an agenda. Interestingly, Democrats have long ago erased these historic figures from our textbooks, only to offer deceitful propaganda and economic enticements in an effort to convince people, especially black Americans, that it’s the Democrats rather than Republicans who are the true saviors of civil liberties. Luckily, we can still venture back into America’s real historical record to find that facts are stubborn things. Turkey has applied to Cuban officials to build a mosque in the Caribbean country, Turkish President Recep Tayyip Erdoğan has said. “We have applied [to the Cuban officials] to build a mosque similar to the one in Ortaköy; we are waiting,” Erdoğan said Feb. 9, while responding to journalists on board while en route to his South American tour. Saudi Arabian officials have also placed a similar application, Erdoğan said. “We will build it if we get the permission. There are around 4,000 Muslims in Cuba,” he said. Erdoğan is scheduled to visit Cuba on Feb. 10 and 11 after his visit to Colombia ends. The visit comes after Erdoğan’s remarks in November last year that Muslims were the first to discover the Americas and a mosque once sat on a hill on the Cuban coast. 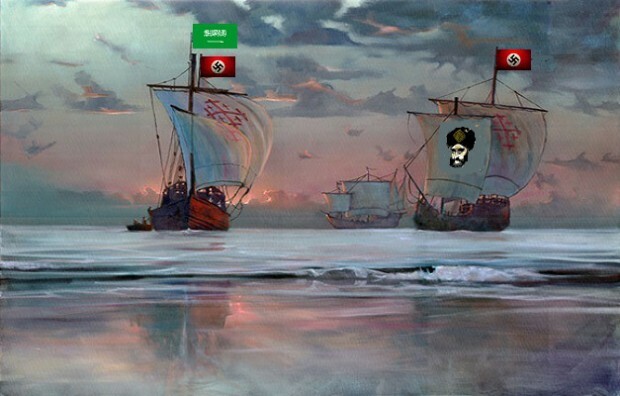 During his speech to the 1st Latin American Muslim Leaders Summit in Istanbul, Erdoğan said Muslim sailors arrived in America in 1178, more than 300 years before Christopher Columbus. “I will talk to my brothers in Cuba and a mosque would suit the top of that hill today as well,” Erdoğan had said then. Muslims are always “demanding” things. I notice a pattern. Erdoğan saying the Muslims were in the new world before the Spanish are not likely to sit well with the Cubans either. Iran, much more skilled with taqiyya has had more success in Spanish-speaking America than blowhards like Erdoğan. The Hamilton Awards are among the highest honors of literary achievement given for UT Austin authors. This year’s winners were announced Wednesday, Oct. 15. Deceptive, misleading, and trickery title. Horribly written book. This book mentions Thomas Jefferson only fleetingly on several pages. I thought this book would be comparable to The Jefferson Bible, where Jefferson cut / removed passages from the Bible which he considered laughable or unbelievable. 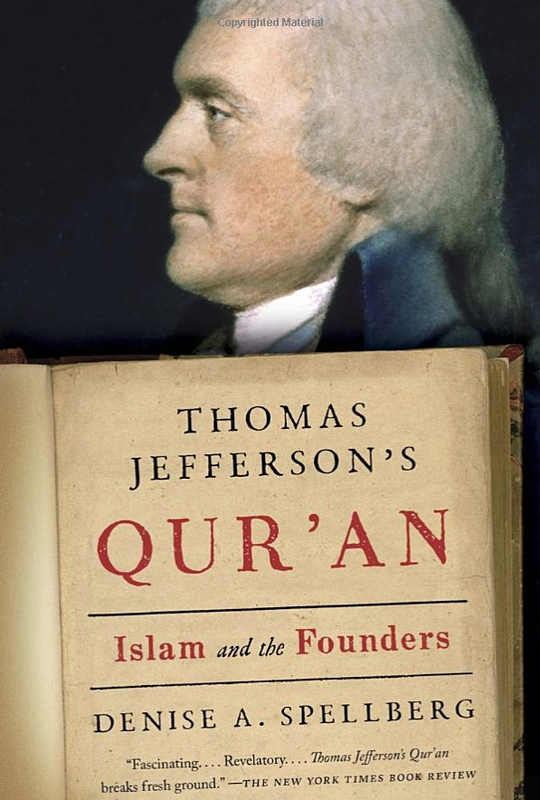 Jefferson did not do that with the Koran. He read enough of it to disgust him with the Moslem faith and practices. 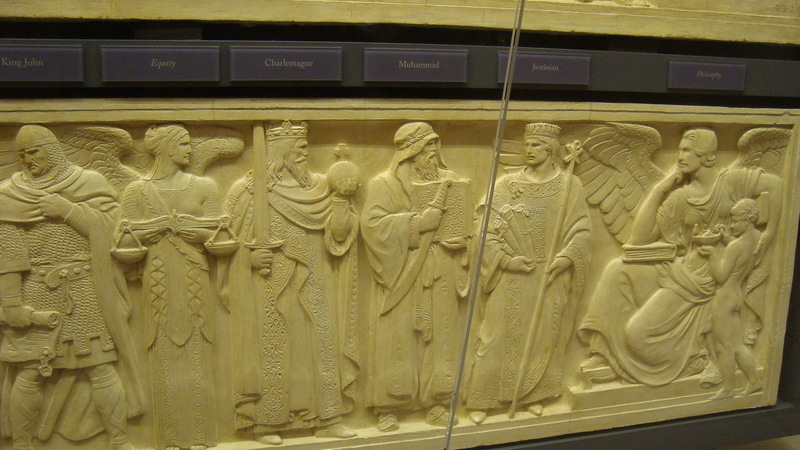 Muslims keep bragging about this relief depicting historical lawgivers in the Supreme Court building. That’s Mo in the middle with the scimitar. Why aren’t they outrageously outraged that someone has dared to depict their prophet? It couldn’t be that they only mind that if the depiction isn’t flattering, and that there is no real prohibition on depicting the “prophet”, could it? The Zaytuna Mosque college complex was built in 732 in Tunis, Tunisia. In the 13th century, its library contained more than 100,000 volumes. (www.worldreligions.co.uk, page 76). From the “Islamic Inventions” picture gallery. American Muslim leaders gathered at Washington’s National Press Club late last month to release a scathing 17-page letter to the Islamic State that distanced mainstream Muslims from the militant group’s actions. But one prominent imam from Northern Virginia refused to give his endorsement. “It sounded like they were apologizing for something they haven’t done, like they were running for cover,” Imam Johari Abdul-Malik (pictured above) said in an interview with The Huffington Post. The article, which rambles on, finally comes to the #MuslimApologies. 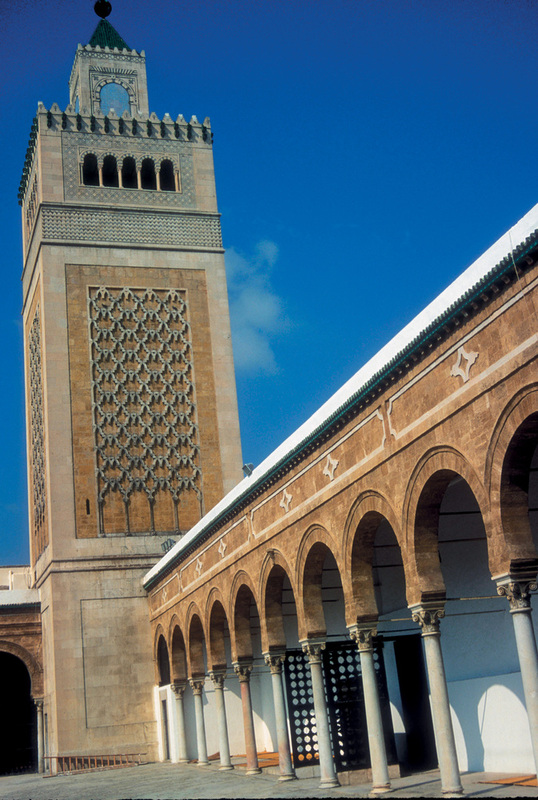 It also has a picture gallery entitled “Islamic Inventions” that shows, among others, vaulted ceilings, libraries and currency (coins). I know for a fact that these existed long before Mo made his unfortunate appearance in the world. Pile of crap. 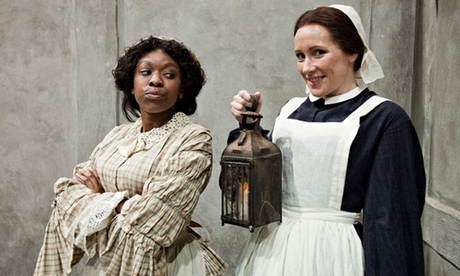 The BBC has been accused of insulting the memory of Florence Nightingale after a sketch on its award-winning children’s TV show Horrible Histories featured her racially discriminating against a fellow nurse. The BBC Trust said the clip, featuring Nightingale and Jamaican-born Mary Seacole, was inaccurate and “the charge of racism very serious”. The trust largely upheld a complaint by a viewer who said it was “insulting to Nightingale” and a “totally fictional and offensive misrepresentation”. Nightingale, the founder of modern nursing, and Seacole cared for British soldiers on the battlefield during the Crimean war. The sketch, first broadcast as part of the Vile Victorians series in 2010 and later put on the BBC’s Learning Zone website, showed the pair visit a PR consultant to discuss their respective images. The pair were also shown jostling in a doorway with Nightingale pushing Seacole aside. The BBC had initially defended the portrayal, saying it was justified by its “humorous approach” and “comedy”. A BBC spokesman said: “ A spokesman for the BBC said: “We note and accept the findings of the editorial standards committee.